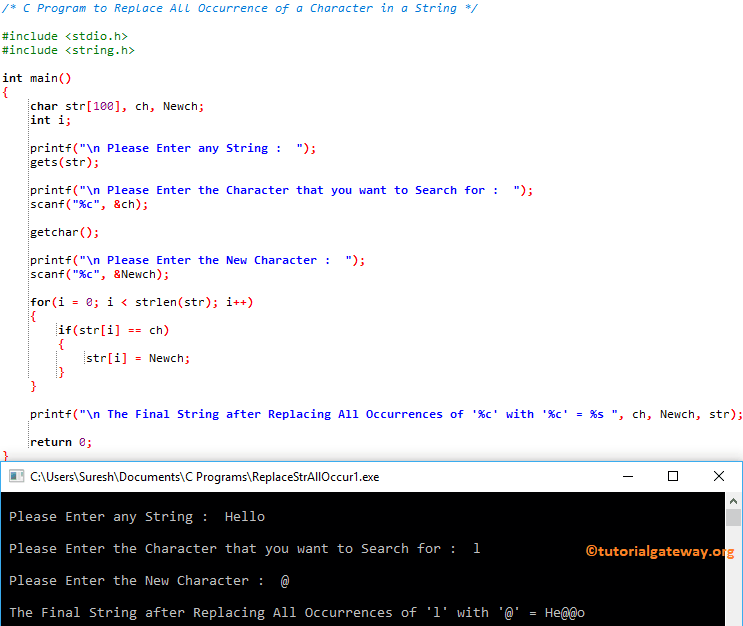 In this article, we will show you, How to write a C Program to Replace All Occurrence of a Character in a String with example. This program allows the user to enter a string (or character array), and a character value. Next, it will search and replace all occurrence of a character inside a string. First we used For Loop to iterate each and every character in a String. Next, we used the printf statement to print the final string. This program is same as above. Here, we just replaced the For Lop with While Loop. I suggest you to refer While Loop to understand the Loop iterations. This program is same as first example but this time we used the Functions concept to separate the logic.